These shirts make me think of summer, sun and style. 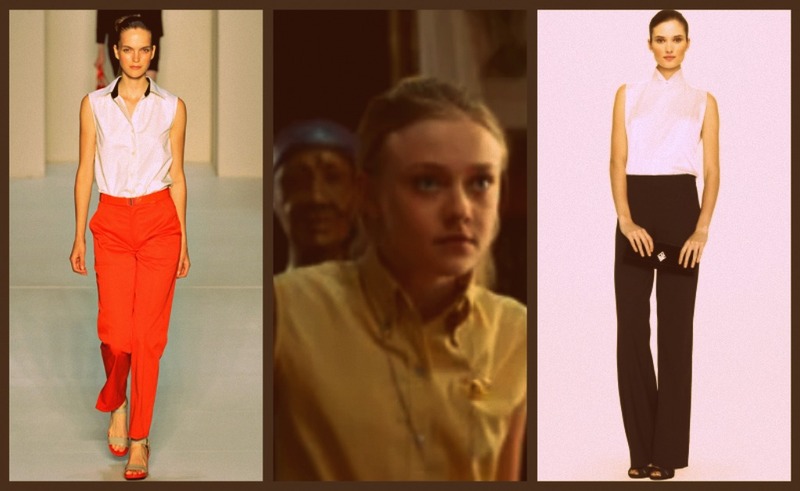 The first photo is by Marc Jacobs, second is Dakota Fanning in 'The Secret Life Of Bees, and third is by Ralph Lauren. Don't they look so perfectly smart? I didn't feel like doing a full on tutorial because it was so simple to make! I picked up a super cheap white shirt from a flea market and died it pink. Then I removed the sleeves and replaced it with some lining... Ta-daa!